We are constantly belaboured by arguments that suggest that those who have served our country in the armed forces, by virtue of such service, are automatically ineligible to participate in the politics of our country or hold positions in the current government. And this proposition is being advanced by a political assembly that happened to be the first government to appoint a former army officer in a civilian ministerial capacity, and have appointed several more to various positions in its administration while it was in power. So in effect, their argument is that former GDF officers should only serve in civilian capacities in governments that they control. I mean, how more fractured and disfigured can any reasoning and understanding on this issue be? 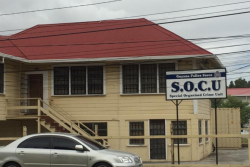 Guyana is the only country in the Western hemisphere where one encounters narratives that military service disqualifies citizens from holding positions in government, or even participating in politics after they have retired from the army. Consider the US, where former members of the military forces, from Harry S Truman to George Bush Sr, were popularly elected as President of that nation, with no grumblings or arguments of ineligibility from their opponents on the other side of the political equation. The current US Secretary of State, John Kerry, is a military veteran who served in the Vietnam War, and both houses of the US legislature are filled with former members of the military. This is because consistently cemented in the understanding of Americans, is respect for those who have served in the military, and this is seen as one of the most profound manifestations of one’s patriotic contributions and service. 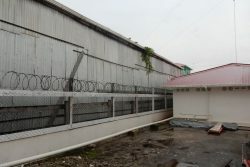 In contrast, in Guyana, the negative talk of some continues to propose that while it is ok to serve in an occupational area where one is more likely to lose one’s life in times of external hostilities than those who are professional politicians, it is not ok after such service to aspire to, or be appointed to civilian roles of leadership or engage in political activities, which, it appears, those critics arrogantly presume is some preserve that should be exclusively theirs. So I ask Guyanese, in light of the proposition that there should be discrimination against former members of the GDF exercising their citizenship and constitutional rights to be active in politics, and be appointed to positions in government, to pause a while to consider the immediate foregoing circumstances under which many in our military were obliged to serve. At a time when we were faced with the threat of external hostilities that challenged our sovereignty, the same ‘unqualified’ former servicemen of today were charged with and willingly took on the task of confronting a modern navy with modern destroyers, corvettes and submarines, in their patrol boat. What pervasive political arrogance or insanity influences anyone to prescribe limits to the lawful activities and engagements of former soldiers. To those who are consumed with the antipathy towards former members of the disciplined forces exercising their constitutional rights to serve their nation in a civilian capacity, with the same honour, dignity and integrity they served in patriotic uniformed national roles I say, where were the critics when young GDF officers like the Collins, the Featherstones, the McPhersons, the Hinds, the Singhs, the Atherleys, the Hincksons and so many others, represented the brave human bulwarks standing tall, firm and determined at locations like Eteringbang in the ʼ70s and ʼ80s, in defence of our national sovereignty? Where were they when we, as young policemen and soldiers were thrust aboard a civilian Twin Otter Aircraft and flown into Eteringbang on February 26, 1970 by courageous pilots like the Chan-a-Sues and the DaSilvas, not knowing at the time what awaited us when we landed there, but nonetheless undeterred by such concerns? Where were they? Oh yeah, they were busy politicking in the safe confines of Georgetown and other environs.